“The single story creates stereotypes, and the problem with stereotypes is not that they are untrue, but that they are incomplete. They make one story become the only story.” Chimamanda Ngozi Adichie's TED talk words changed my life. Adichie is clearly a storyteller. She spins words as if they are colourful pieces of silk, each word building a masterpiece, a clearly interwoven tale. Her TED talk (link at the end of this post) focused on how Adichie, while growing up in Nigeria, read only stories of British and American girls. The girls in these stories didn't look like her, nor did they look like anyone she knew. But they were the stories that influenced her childhood, and never knew anything else existed, until she was introduced to African literature in her teenage years. When Adichie attended college in the United States, her American roommate naively asked how Adichie knew English so well - not knowing the common Nigerian language is English. She then proceeded to ask Adichie what her favorite music was - then acted surprised the response was an American pop star and not a tribal, drum melody. You see, as Adichie explains, the story her roommate was told about Africa was the one story Americans hear about Africa. Sure some Africas do live in remote villages with no water and speak only in their native tongue. But that's only one story. There are many cultures and diversities within Nigeria, let alone the entire continent of Africa. But her roommate only heard one story. Adichie's TED talk had me reevaluating every story we've been told. I never learned about Africa in school - outside of basic geography. And even outside of Africa, I knew so little except what my teachers or media have told me. Even current events fit into her message. Fake news and the tales media, politicians or our families share with us are one story, yes. But they aren't the complete story. How much was I missing in regards to people and country's stories? I knew nothing outside of American and European history. I became hyper-aware I'd been visiting all these countries yet knew nothing of their stories, the complete version of their history. The news informs us about the Middle East and war in Syria. We know terrorist groups are destroying lives in Nigeria and Mali. We hear things like Saudia Arabia women can now get drivers license. But outside of a headline, I knew nothing of the people, the beautiful culture or the struggle and triumph citizens go through. In my mission to hear the complete story, I came to understand American education system and pop culture have been completely excluding beautiful, wonderful and real stories of amazing people and culture. 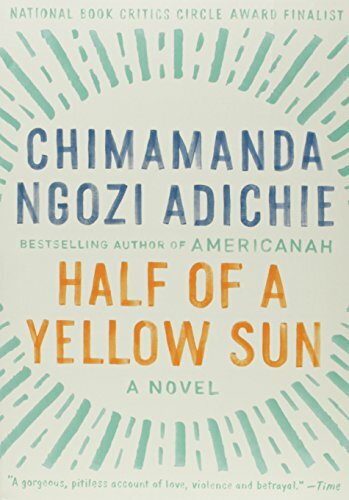 Half of a Yellow Sun (fiction) - Story of the Biafran War (Nigerian civil war in the late 1960s) through the perspective of three characters - a wealthy Nigerian women, a village house boy and a British expat. The juxtaposition of each story, the tales representing the diversity of Nigeria, offers different perspectives of life in this complex country with beautiful, raw human detail. This is engaging fiction read with historical facts and tales woven into the narrative. 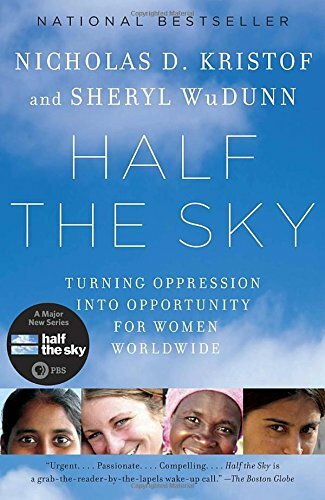 Half the Sky (non-fiction) - True stories of modern women oppression and human rights concerns across the globe. This is a tougher read, as the stories can be heartbreaking, but this book single-handedly fuelled my passion for women's rights and giving back. If you are interested in women's or human rights across the globe and want to learn how to get involved, I highly recommend. 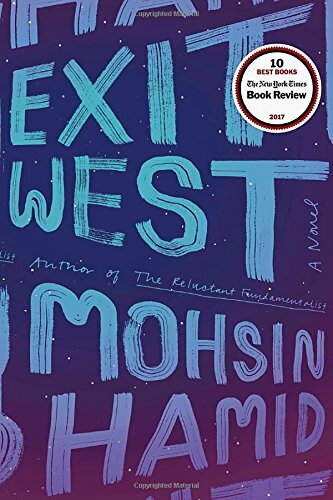 Exit West (fiction) - Beautifully written story of a couple fleeing their city due to war, with magical doors that transport our characters to other countries. The book poses this question: if country borders were suddenly gone, what would the world look like? This is a tale of refugees and immigration that makes you feel as if you, the reader, could easily be in the situation of the characters - on brink of war with your future unknown. With the immigration issues at hand in our current world, Exit West completely altered my perspective on refugees and immigration. Bonus: I listened to the author speak at Shakespeare & Co in Paris and was awestruck by his conversation. So controversial but so real. Read and listen (or listen and read) because his ideas are worth it alone! Link - then scroll down on page to view podcast or video. 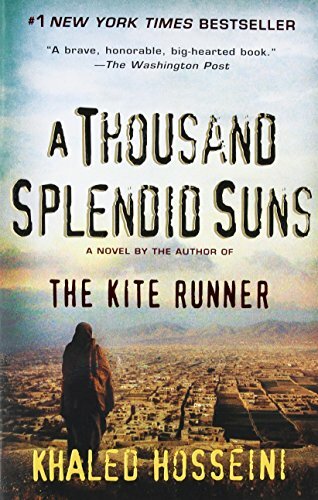 A Thousand Splendid Suns (fiction) - Tale of two Afghan women, connected together by an unimaginable fate (to Westerners at least), through the 20th and 21st century. This is for those of you who'd like more insight into the evolution of Afghanistan through the decades, the rise and fall of communism and rebels and war - all through the lens of women's rights and the persistence of hope. 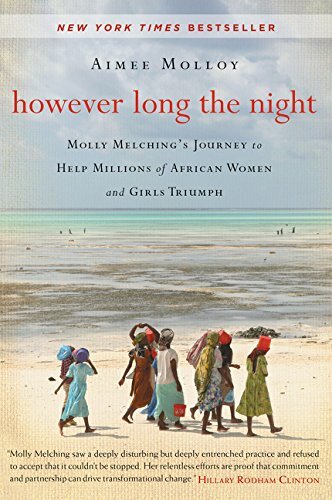 However Long the Night (non-fiction / memoir) - Story of Molly Melching, founder of the non-profit Tostan. The book covers Molly journey from an exchange student in Senegal through her life-long commitment to African communities and empowering locals through human rights education. A heartwarming story that will have you head-over-heals in love with Molly's fiery spirit and inspire you to follow your passions. Do you guys have books that changed your life? If so, want to start a book club? As promised, here's the link to Adichie's TED talk on "The danger of a single story."